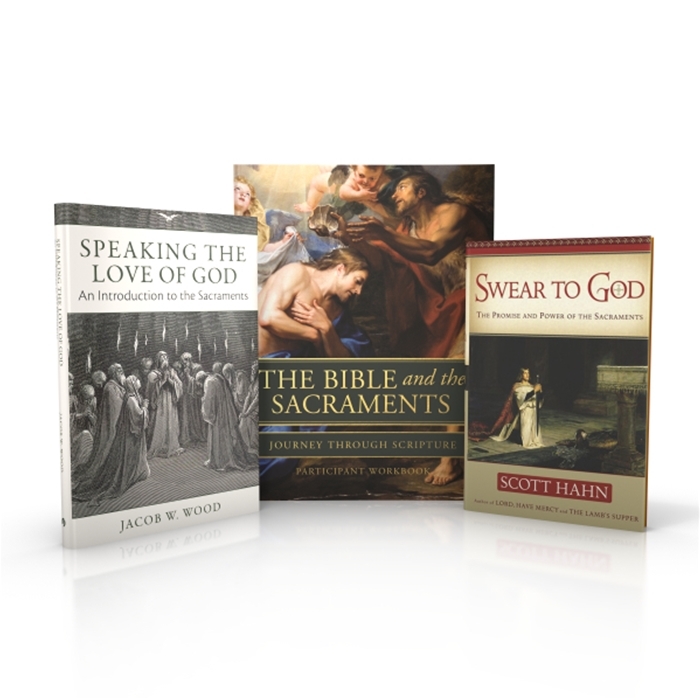 The Participant Kit contains not only the Participant Workbook but also two companion books: Swear to God by Dr. Scott Hahn, and Speaking the Love of God: An Introduction to the Sacraments by Jacob Wood. The participant workbook for The Bible and the Sacraments will help you retain what you’ve learned so it can more easily be applied to your daily life. Sacred art, inspirational quotes from Scripture, the saints, and recent popes, and engaging review questions and discussion topics inspire participants to give their lives more to Christ and provide practical life application. The workbook includes recommended reading from four important titles. We expect you already own (or have access to) the Bible and the Catechism of the Catholic Church, and this kit provides both Swear to God and Speaking the Love of God for nearly half their list prices. The Bible and the Sacraments experience won’t be complete without Dr. Scott Hahn’s Swear to God on which this Bible study is based. With his usual brilliance and accessibility, Dr. Hahn presents a new look at the sacraments which beautifully complements the Participant Workbook. Drawing upon a close examination of the Bible and many other Christian sources, Dr. Hahn demonstrates how Christ instituted the sacraments how we can more fully participate in these wellsprings of grace. Speaking the Love of God is a beautifully written, indispensable guide to the sacraments. In this book, you’ll discover the power of the signs and words that transform us by grace and prepare us for glory. Written in accessible, concise language, you’ll discover a compact but comprehensive overview of every sacrament. Buy the Participant Kit and get the most out of The Bible and the Sacraments. 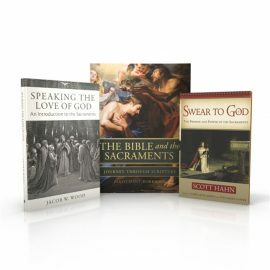 Be the first to review “Participant Kit | Bible and the Sacraments” Click here to cancel reply.